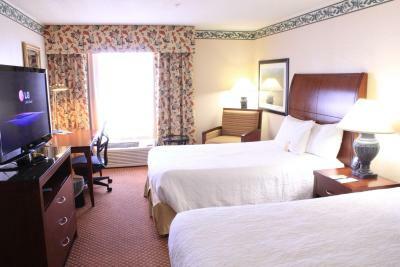 Lock in a great price for Hilton Garden Inn - Elko – rated 8.5 by recent guests! Pleasantly surprised there was a restaurant and lobby ambiance. 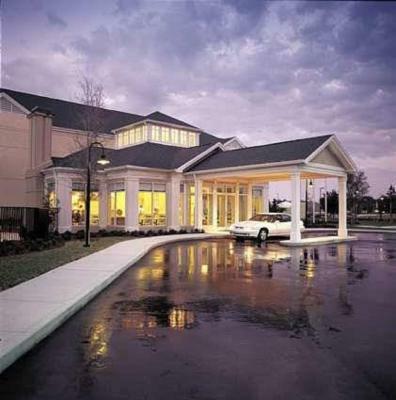 Modern facility, clean rooms, friendly staff, easy parking. The room was very presentable. Food was good. Staff very accommodating. Room was very clean and quiet, except for the air con. Loved the shower head and Keurig coffee machine. Beds were comfortable and clean. Breakfast was good with lots of choices, except we missed the choice of a strong cup of coffee at breakfast. The Keurig machine in the room was welcomed. The lobby and restaurant give a great first impression. 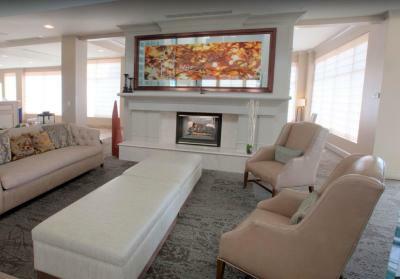 The fireplace and sitting area is very inviting and the decor is lovely. It is a gem in the desert. Our breakfast was great. We were happy with our stay while on a family trip. This hotel appears to be a nice business hotel as well. staff on front desk was excellent,exceed any expectation,did everything possible to get me checked in early. always friendly, greet us everytime. great. The food was great,and the staff was friendly. It was our first time visiting Elko and the Hotel staff made it worth it. Also the lobby was a great place to hang out. nothing. Dirty entrance floor and tub drain was broken in the closed position. You sure do not get the value of money spent for a room. Rip off! Great little restaurant in the hotel. Staff exceptionally nice. 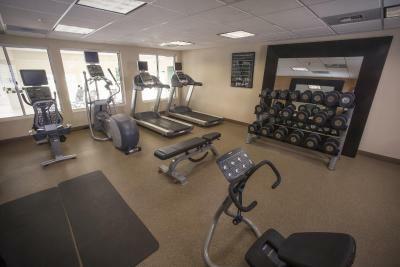 Hilton Garden Inn - Elko This rating is a reflection of how the property compares to the industry standard when it comes to price, facilities and services available. It's based on a self-evaluation by the property. Use this rating to help choose your stay! 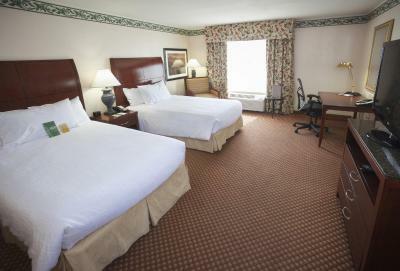 Located just off I-80 and 5 minutes from downtown Elko, this hotel features an on-site restaurant. Free Wi-Fi and shuttle service to and from Elko Municipal Airport are provided. 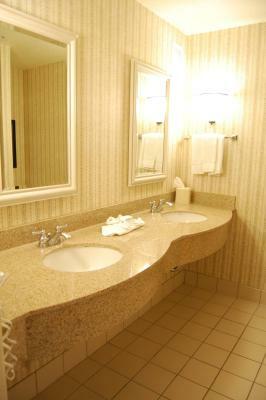 Flat-screen cable TV and an iPod docking station are provided in each modern room of the Hilton Garden Inn — Elko. 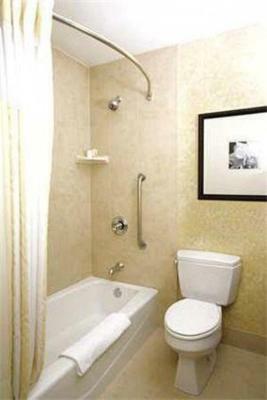 A coffee maker, microwave and refrigerator are also included. 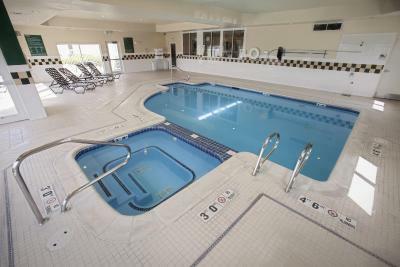 An indoor pool, whirlpool and fitness center can be enjoyed by guests. A business center, salon and florist are also available. 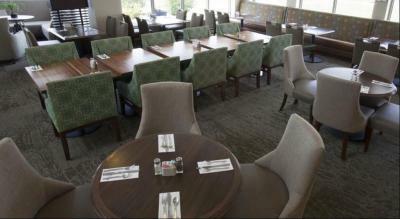 The Great American Grill at the Elko Hilton Garden Inn serves soups, sandwiches and other meals through the day. An on-site snack shop is open at all times. 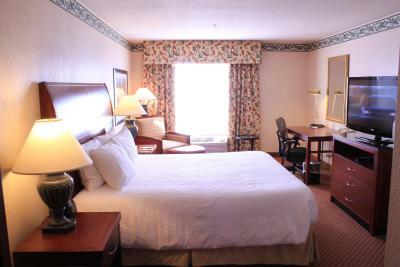 The Red Lion Casino is less than 1 miles from the Elko Hilton. The Elko Amtrak Station is 6 minutes away. 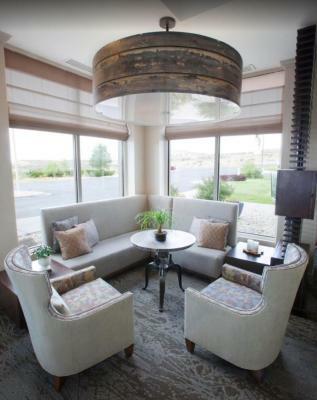 When would you like to stay at Hilton Garden Inn - Elko? A flat-screen cable TV with video game options is featured in this room. A microwave, small fridge, and coffee-making facilities are provided. 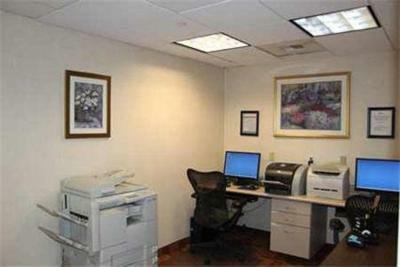 A sitting area and a work desk are provided in this suite. 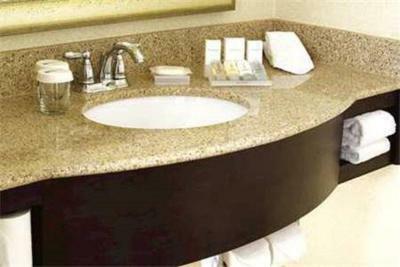 A flat-screen cable TV with video game options and an iPod docking stations are included. 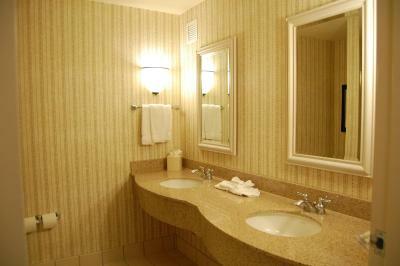 A microwave and small fridge are also available for guest convenience. This double room has a iPod dock, microwave and air conditioning. 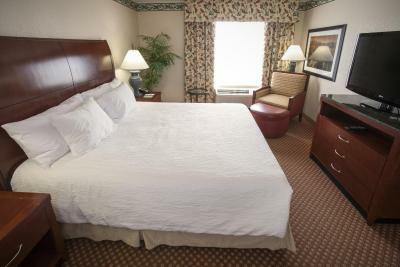 This double room features air conditioning, microwave and iPod dock. 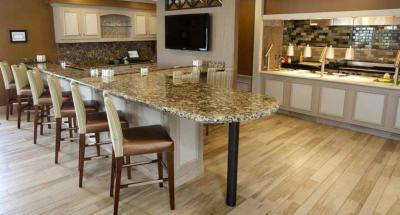 House Rules Hilton Garden Inn - Elko takes special requests – add in the next step! Any additional older children or adults are charged USD 15.95 per night for extra beds. Hilton Garden Inn - Elko accepts these cards and reserves the right to temporarily hold an amount prior to arrival. Can't think of anything, staff were wonderful. Rented a room with kitchenette and there were no pots & pans, utensils plates or table ware. Wifi not working, toilet too low, room and hallway deodorizer was suffocating, water in toilet too high, add for room deceives one to believe breakfast is free, breakfast too expensive, bed softness adjustments do not work. Night clerk not helpful with WiFi and free breakfast. Easy business stay, staff always friendly and helpful. Restaurant good. Booking.com failed to make the reservation.When I arrived we were told we had no reservation. Thankfully they made room for us . I will never use Booking.com again. The mattress was well used, lumpy, sagged where I laid, had a bulge in the middle. Good location and nearby restaurant great for tea. Dinner and breakfast absolutely outstanding. Personnel/staff friendly and curteous. Bed very good. Room spacious. Only the view from the room was a bit poor. Older hotel. Bathtub is not inviting.. either needs to be replaced or cleaned. Air-conditioner rattled like an old jeep, but kept the room cool.